To help bring greater visibility into the volatility landscape in Europe's stock market, we have added a page dedicated to VSTOXX Futures. The VSTOXX index is the 30-day volatility index for the Euro STOXX-50 index, Europe's leading blue-chip index which provides a representation of the major sectors across 18 European countries. 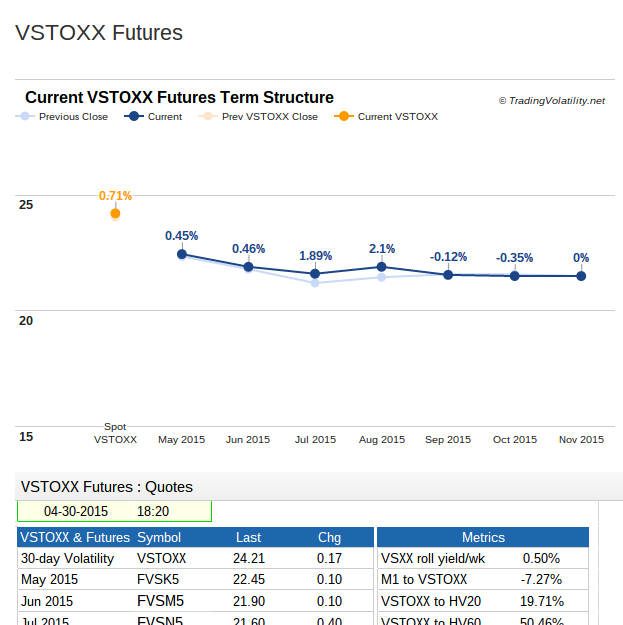 Similar to our VIX Futures page, the VSTOXX Futures page contains quotes, historical volatility data, key metrics, and graphs that are useful in tracking volatility.